There are not too many plants out there with as interesting of a history full of name changes, origin stories, and versatility as the Calla Lily. Calla lilies symbolize beauty and purity. What plant can you think of that can be used at both weddings and funerals? The Calla lily, often symbolic of purity, holiness, and good luck is actually not a true calla or even a true lily. They were incorrectly named and classified. 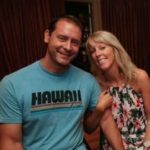 Fun facts, and so much more! First of all, Calla lilies are versatile, hardy plants that can be grown indoors or outdoors depending on your preference. Additionally, did you know if you plant Calla lily bulbs in the ground now, you can expect them to bloom in about 60-90 days! That means you can cut your own flowers to display in your house by July or bring as a gift to a summer party! 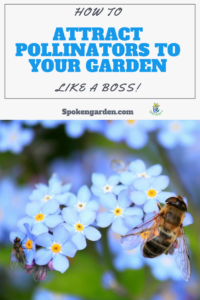 The amount of time they need to grow depends on which variety you plant, the temperature of the soil, and weather conditions in your area. Plus, they have an interesting history and are actually considered a weed in some countries! Lastly, we’re featuring callas because of their meaning and significance to both weddings and funerals. 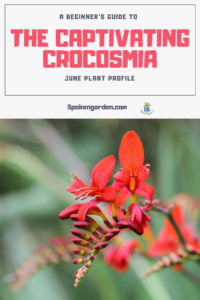 Read on to learn more about the history, common characteristics and even a few fun facts about this beautiful plant. Print your FREE Calla Lily Plant Profile! 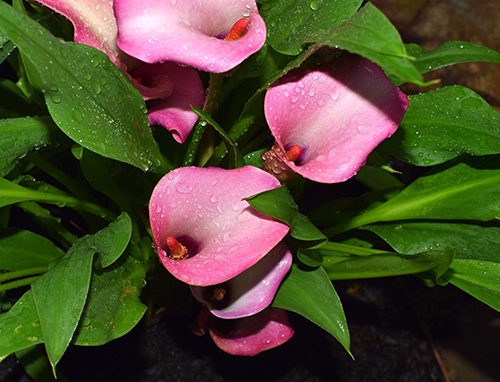 Subscribe to our Spoken Garden community and receive your FREE Calla Lily Plant Profile! Included in the plant profile: Calla Lily general plant info, fast facts, companion plants, and a planning guide! Calla lilies, or Zantedeschia aethiopica, are in the Araceae family. Also known as the Arum family, this group includes 114 genera and about 3,750 species of flowering plants. These plants are native to southern Africa in Lesotho, South Africa, and Swaziland mostly. Other genera in this family include Monstera, Philodendron, Pothos, Anthurium, and Skunk Cabbage. Often associated with the Greek word for “beautiful,” the actual evolution of this plant’s popularity is not quite understood. Stories abound throughout Greek mythology involving Zeus, Hercules, and Zeus’ wife, Hera. Hera was tricked by Zeus to breastfeed Hercules (who was not her son) and once she discovered the truth, breast milk spilled from her which dropped to Earth forming beautiful calla lilies. Eventually, this plant was discovered and categorized by the Swedish botanist Carolus Linnaeus as a “Calla Lily”. But, an error was made classifying the plant. It turned out that this plant was not even a lily or a calla! Big oops. Unfortunately, by the time this naming error was corrected by German botanist Karl Koch, it was too late. After renaming the calla lilies as the genus Zantedeschia, the common name for the flower lived on. The true birthplace of the calla lily can be traced to South Africa and possibly other countries located on the southern African continent. In this warm, tropical climate calla lilies were born. Eventually, they somehow spread throughout the western world. No one is quite clear as to when they showed up or why. In Europe, some of the first signs of calla lilies were depicted in various works of art dating back to the 1600s! Eventually spreading to the United States at some point, they became a staple at both weddings and funerals. Calla Lilies are often featured in weddings and used in bridal bouquets due to their symbolic significance to life and fertility. It is also the flower associated with a 6th wedding anniversary thus symbolizing the beauty of a couple’s love. On the other hand, calla lilies gained popularity as a common funeral flower used to signify a transition to the afterlife. Similar to other flowers such as roses or tulips, different colors of calla lily determine different meanings. For example, if you have white Calla Lilies they usually symbolize purity and innocence. Yellow callas symbolize gratitude while pink callas signify appreciation and admiration. Lastly, purple callas usually symbolize charm and passion. As you can see, this flower has many uses and symbolic meanings. Calla Lily Perennial or Annual? Often calla lilies are given as gifts in pots so people naturally treat them as annuals. Actually, callas are perennials and can re-bloom the next year depending on where you live and how you treat your bulbs over the winter. For example, the Common Calla Lily is evergreen to semi-evergreen and isn’t dug up or stored over winter. Other species can die back every year and then need to be dug up and stored over the winter months. Types Species aethiopica is usually creamy white; can come with green toward tips of flowers; dwarf cultivars 'Childsiana' or 'Minor'; or larger 'Hercules' cultivar. Zones Sunset= Zones 5, 6, 8, 9, 12-24, H1 and H2. USDA= Hardy to zone 8a. General Information Common calla has different cultural needs than the other calla species; Evergreen to Semievergreen so can't dig up and store over winter in colder climates like other calla species need to be; more tolerant of boggy or moist soils, in hotter summer climates they need to be grown in exclusively light shade, but in milder climates they can be planted in full sun with some light shade; plant in the fall to early spring. Native Environment Native to South Africa. Water Needs Regular water year round. Mature Height/Width Grows 2 - 4 feet high. Bloom Time Late Spring to mid Summer. Flower Colors Common Callas have creamy white flowers, with some cultivars having green tipped flowers, being taller or shorter, with some having a backward curving and/or flat flower (spathe). 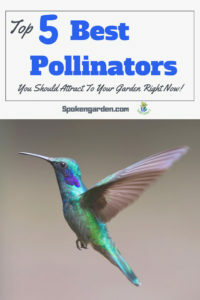 Other species have flowers ranging from green, yellow, gold, orange, pink, lavender, purple, red, and different combinations of these colors with various flower-throat colors. Number of Species 8 species are currently recognized. Sun Exposure Light Shade in hotter climates. Full Sun with some light shade in milder climates. Plant Spacing Common Callas should be spaced 1-foot apart and 4-inches deep. Other species should be 8 to 12-inches apart and only 2-inches deep. Suggested Companion Plant/s Groups well with Lavender, Catmint, Freesia, and Creeping Jenny. Also goes well with other late Spring to mid Summer flowering plants. Works well in garden bed groupings or in containers and good as either focal points or accessory plants in a garden. Can also be a part of water gardens on edge in boggy soil. Maintenance Level - Yearly cleanup of old or any dead leaves or flowers. - Maybe divide if they get too large for the spot. - Common Calla Lily is evergreen to semi-evergreen and isn't dug up or stored over winter, where other species do die back every year and need to be dug up and stored. Pest Susceptibility None to be really concerned with. 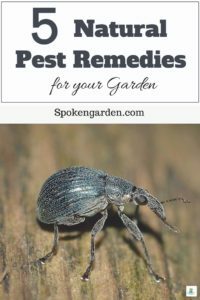 Poisonous to Pets? Toxic to both dogs and cats (by ASPCA), so keep away or out of reach so they can't consume any part of the plant. - Can cause irritation or severe burning in the mouth, tongue, or lips. Edible for Humans? Toxic to humans, so don't consume any part of the plant for any reason. Keep away or out of reach of children. Can cause irritation or severe burning in the mouth, tongue, or lips. Fun (or historical) Facts - Calla is Greek for Beauty. - Popular for use in bridal bouquets and for 6-year wedding anniversary. - Calla Lilies are not true lilies. - Rhizome, a type of bulb, but not a true-bulb. - Have little to no fragrance. Ok, we know you want to buy calla bulbs now so they can bloom in your garden before summer. Click any of these images links below for the most current Amazon prices. Just look at those colors! Click the image to buy these colorful Calla Lily bulbs! If you haven’t planted your calla lily bulbs yet, but want to get them to bloom before summer, it is not too late! Even though these plants are more closely related to some of our common houseplants such as Monstera and Philodendrons, they can be grown indoors or outdoors. Another close relative is the Skunk Cabbage, but thankfully it does not share its unfortunate aroma. One thing is for sure, this beautiful, mysterious plant continues to win the hearts of generations of enthusiasts around the world. Click the graphic above to save “Calla Lily Plant Profile” to Pinterest for later! 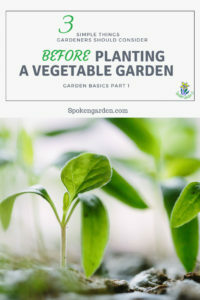 « How To Build Your Very First Raised Garden Bed in Time For Spring Planting!